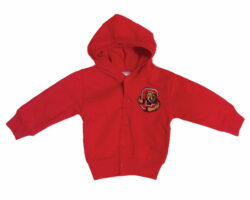 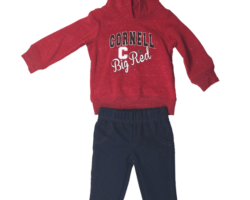 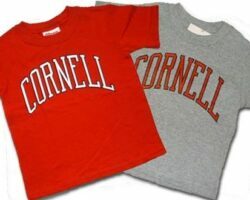 52% Cotton, 48% Polyester infant/toddler sweatshirt. 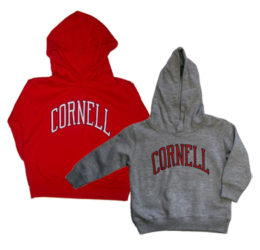 Classic arched “Cornell” letters. 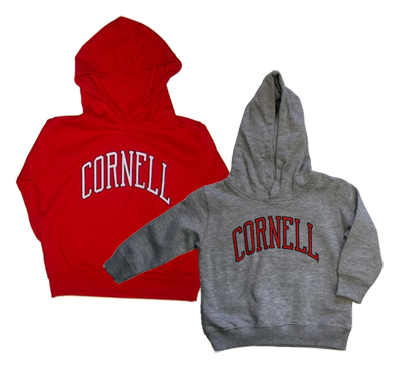 Hooded.